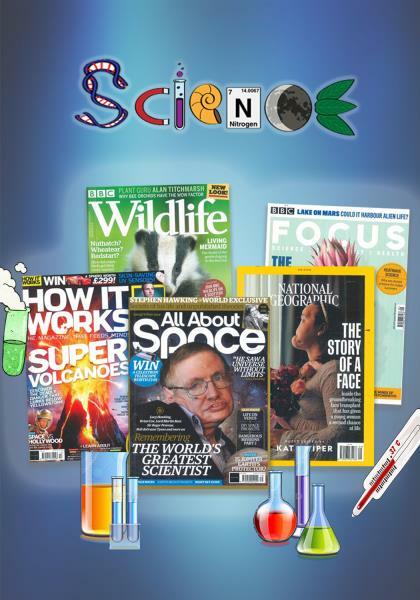 This Science package for secondary schools consists of BBC Focus, National Geographic, How it Works, All About Space, BBC Wildlife. Please note, we can tailor bespoke packages where you can personally choose from a selection of over 3,000 magazines! Buy this secondary school magazine package or browse our other packages. BBC Focus showcases stunning images, fascinating facts, and articles covering some of the most pressing science and technology issues of our generation. It is a thought-provoking magazine featuring compelling stories and breakthroughs affecting our future, new technologies, and space exploration. Every issue also focuses on environmental issues and how they are relevant to daily life, cutting edge technology and its impact on our future, articles from scientists, and so much more! National Geographic gets readers closer than ever to the world’s greatest wonders, covering topics of science, technology, nature, geography, history, culture, biology, current events and more through the world’s best scientists, photographers and filmmakers! Each issue is full of intriguing articles and breath-taking photographs, the magazine is tremendously celebrated by all age groups and genres across the world. How it Works is an action-packed science and technology magazine bursting with exciting information about the world around us. The publication will fascinate readers and showcase how interesting our world really is, also find brilliant articles, surprising facts, astronomy, history and more! All About Space is for anyone interested in space, astronomy, space exploration, space travel, present and future. Each issue delivers fascinating articles and features on all aspects of space, along with mind-blowing photography and colourful illustrations that bring the universe around us to life! BBC Wildlife consists of beautiful imagery and informative articles on the natural world, practical advice, and insightful interviews with leading naturalists. BBC Wildlife is your essential guide to the natural world, showcasing the wonder and beauty of wildlife and helping readers to experience and enjoy nature more.